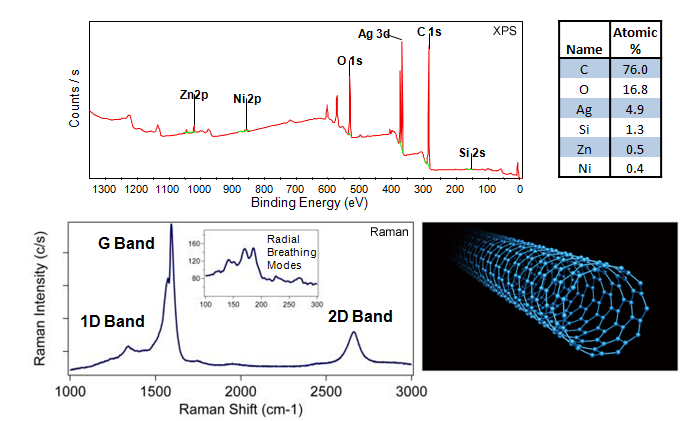 Raman spectroscopy yields information on chemical bond and structure, so it can be effectively combined with XPS to form a more complete picture of elemental composition, chemical state, structure and bonding states of any sample surface. This is typically carried out using multiple instruments, with the samples being transferred, usually with a significant waiting cycle, between the different measurement techniques. Now XPS data and Raman data can be collected at the same spot, at the same time! The Thermo Scientific iXR Raman option for the Nexsa XPS System and Theta Probe ARXPS utilizes a custom design in-vacuum objective lens, with the XPS analysis position set as the focal point. This objective introduces a focused laser beam onto the sample, while collecting and analyzing the scattered light signal. Combining the techniques in a single measurement cycle guarantees the same analysis point, and allows more complete collation and comparison of data between the two methods. 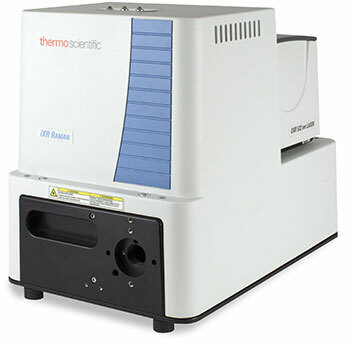 Raman spectral data can be acquired using Thermo Scientific Avantage, or Thermo Scientific Omnic, and can be collected at any point during an XPS experiment cycle. In addition to complementary spectra from an individual point, multiple spectra can be collected in the form of line scans, maps, and even at each level of an XPS depth profile providing an unparalleled level of data collation between the two techniques. Read more here.